A Wonderful Night in Split (Arsen A. Ostojic, 2004) portrays the lives of Croatian people -especially the youth- in the aftermath of the fall of socialist Yugoslavia and the war of independence in Croatia, where the youth’s life was constantly challenged by social exclusion, unemployment, violence and drug abuse. The vast open space of the rock concert, which also represents the beauty of historical Croatia, is used by all the characters throughout the film and it finally glues the fates of the characters. Ostojic’s focus, however, is not on the spaces in Split as a tourist vista and the film is not a character-driven film. The use of run-down buildings (which represents the war-torn Croatia as well as the Balkans), constantly wet pathways (which has a noir sensibility), and tight roads points to the claustrophobia of living in the aftermath of a regime change. 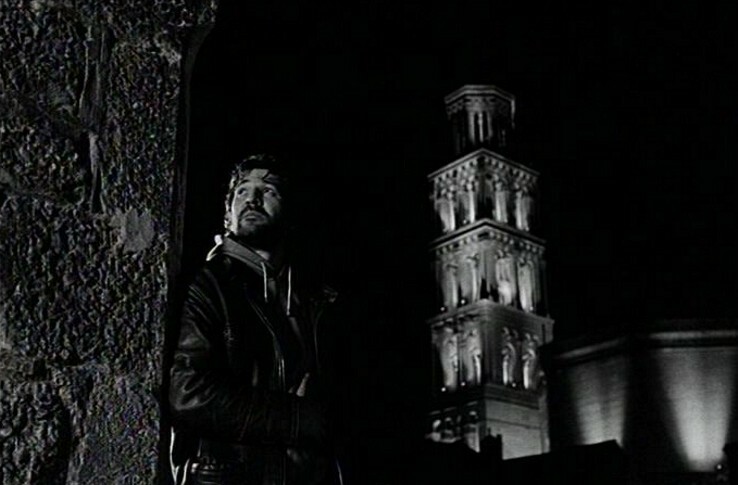 This is not to say that, Ostojic resorts to miserablism, but he rather uses dark humour in the film’s unique style and episodic narrative. The tension between tradition and modernity is a key theme in the film. As an example of such tension, while the food Marija prepares is a traditional Croatian Christmas dish, sarma (which is a typical dish across the ex-Yugoslav countries as well as the Middle East), her relationship with the drug dealer Nike is nowhere near a traditional relationship. However, there is never a harmonious resolution of the conflict between tradition and modernity, which is proven in the final violence scene of the film. 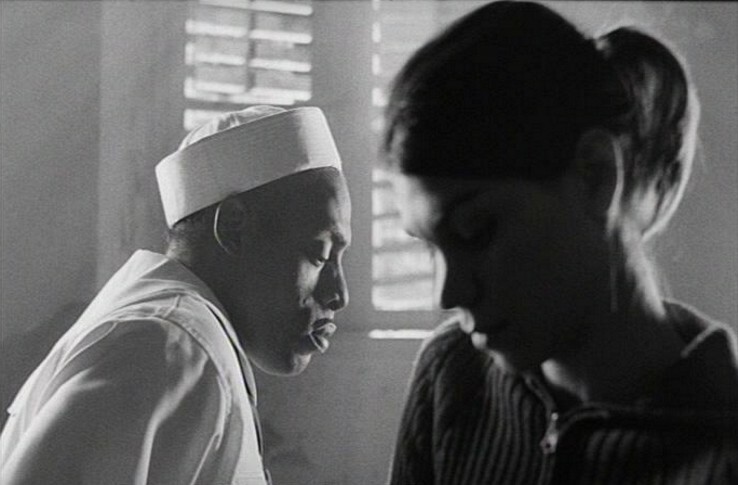 Much of the film’s power comes from its use of cinematography, especially the use of black and white for a film, which does not really embrace a nostalgic perspective for the past. The film foregrounds places in Split, costume, traditional food and music performance in order to illuminate issues of authenticity and Croatian identity. For instance, the name of the film refers to the title of a traditional song from Dalmatia “Ta Divna Splitska Noc”, which becomes a recurring motif in the film, as we hear it in the whistling of the old drunk man but in a completely reversed way. Also, the background information that all actors and actresses in the film were actually born in Split adds to the authentic feeling of the film. The employment of rock music and the use of the commonly known rapper Coolio as one of the American sailors provide a humorous inter-textuality to the film. In its references to the popular music and culture of the 1990s outside the realm of cinema, the portrayal of the Balkan subcultures connects to the global subcultures of the 1990s. The film also constantly references to the characters’ hope to run away from Croatia and reach Germany, while the viewers never get to see Germany in the film, since the characters cannot reach it. As a personal remark, Germany as the last haven for the poor and internally displaced did not change much from the 1990s until the present day, as millions of Syrian, other Middle Eastern and African refugees travel the Aegean and the Mediterranean in the hopes to reach Germany. Nevertheless, the representation of Americans is a bit stereotypical in the sense that the US sailors were shown as superficial, a bit dumb and rich in the absence of proper dialogues between them. Additionally, female stereotypes also persist in the film, as the women characters are depicted a bit hysterical and they almost exist in relation to men. In the aftermath of viewing A Wonderful Night in Split, I am left puzzling of Iordanova’s rightful question (2001): Does the film confirm the marginality of the Balkan region or does it go beyond the stereotypical discourses on it? I decided in the latter; the film goes beyond the stereotypes of the Balkan region as well as transcending the stereotypical aesthetics of Balkan cinema. In its inter-textual references to global subcultures of the 1990s, its episodic narrative, its use of noir conventions, and dark humour, A Wonderful Night in Split transcends the common expectations from a Balkan film. Despite the use of black and white, the film remains a tender and ‘colourful’ portrait of the 1990s subcultures and Croatian lifestyle and identity, with a brilliant use of cinematography. A Hypnotic Night in Split.